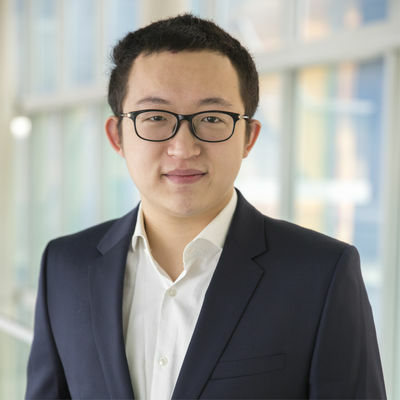 Yipeng Sun holds a Bachelor in Economics from EBS University of Economics and Law at Jacobs University in Bremen. He has been educated in Germany, Singapore and China. He is the Director of the Europe Division at Infervision Technology and responsible for AI solutions. Infervision was founded in 2015 in Beijing by Chen Kuan, is a healthcare start-up that uses artificial intelligence (AI) and deep learning to diagnose disease images. Infervision is already being used in radiology in many large hospitals in China; pilot projects are currently underway in Japan and Europe. In four funding rounds to date, Infervision has received USD 74 million from VC donors such as Sequoia, Advantech and Genesis. A German sales office was established in Wiesbaden in 2017. "After our success story in China and Japan and the first pilot projects in Europe, we now want to inspire the German healthcare market with our AI systems. Our AI technology has been tried and tested thousands of times in advanced radiologies and is the most mature in the global market. In 2018, we will start the first test installations in Germany and then expand them next year," says Yipeng Sun, Director, Europe Division at Infervision.